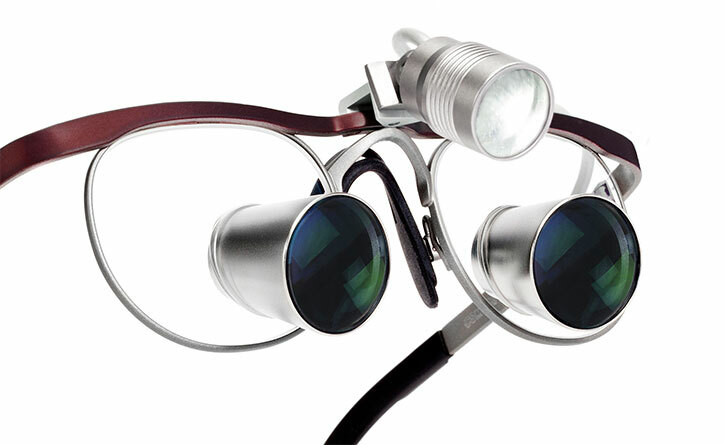 To get the most out of your loupes, supplement your clinic lighting with bright, white shadow-free light, illuminating your field of view. 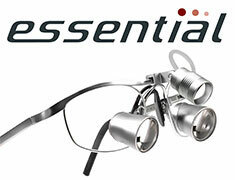 In all ExamVision lights we use "neutral white" (≤ 5.000 to ≤ 6,500 Kelvin) LEDs for the most natural lighting possible. 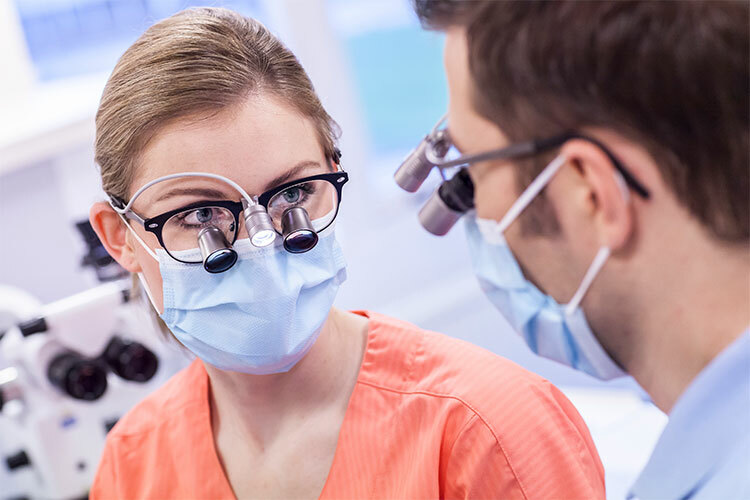 When considering LEDs with higher Kelvin (more blue light) than the ExamVision Focus™ range, remember that this means consequently higher lux (or foot candles), but it also means more unnatural light, eye strain – and risk of retinal damage. 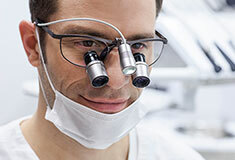 Our precision engineered "Connect" system fixes the LED to your loupes, sliding smoothly on and off, and maintains the light in a stable manner. 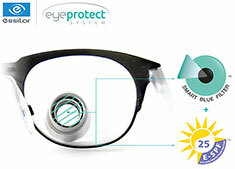 A locking mechanism, allows you to keep the light permanently attached, if required. Focus™ Bright (6500k): Pure yet powerful. 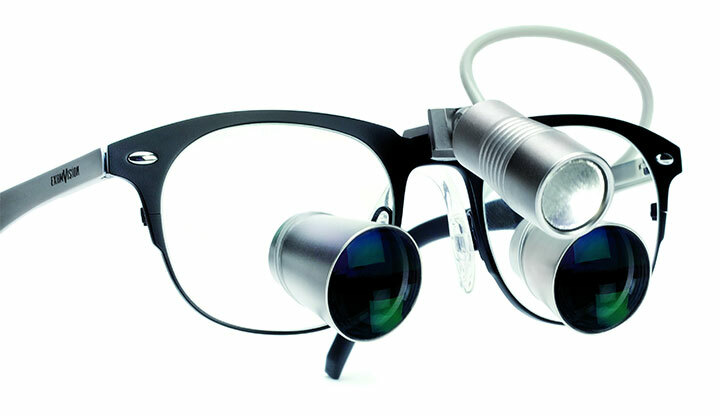 Plenty of lux to illuminate the field of vision, without blinding glare. 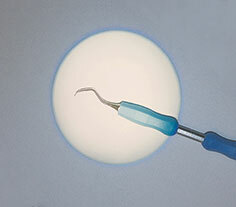 White, bright and strongly concentrated light, ideal for dental and medical applications where high quality illumination is required. Focus™ True (5000k): Natural colour. 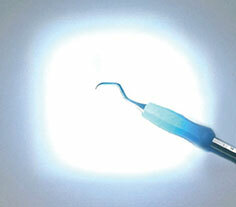 The Focus™ True gives a warmer light with the blue wavelengths filtered out. 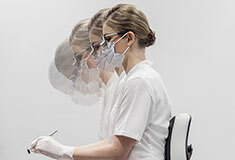 Specially designed for general and cosmetic dentistry, making it possible to work without a curing filter for most composites. Covers the whole range of Lux-demands. 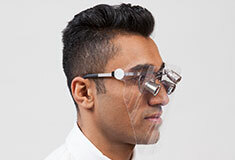 ExamVision’s range of lights is specially designed to give you the illumination you need and prefer. The Focus™ Xtend control unit is operated by pressing the front panel, with your hand or elbow. A short press will activate the unit, and further clicks will cycle the unit through low, medium and high settings. Focus™ Xtend gives you approx. 6 to 24 hours operating time depending on chosen light intensity. Click here for more details. Artificial lighting appears continuous to our eyes, but it illuminates using high-frequency pulses of light. Flickering occurs on video when the frame rate captures different levels of light. 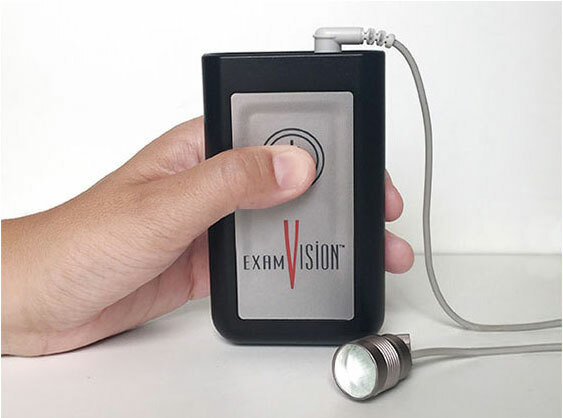 Exam-vision lights have been engineered to keep the level of illumination constant, so the end result will always be clear, flicker-free video. 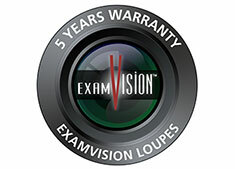 ExamVision LED lights sold from 1 January 2018 will be covered by a 3 year warranty (more information here).